This coming month I will be focusing on Kitchen decor. You will get to know about thrifty kitchen decor ideas, how to get the modular kitchen done without a hassle that fits your budget, some kitchen renovation ideas and ways to customise your kitchen. So first let's start with the thrifty kitchen decor idea. 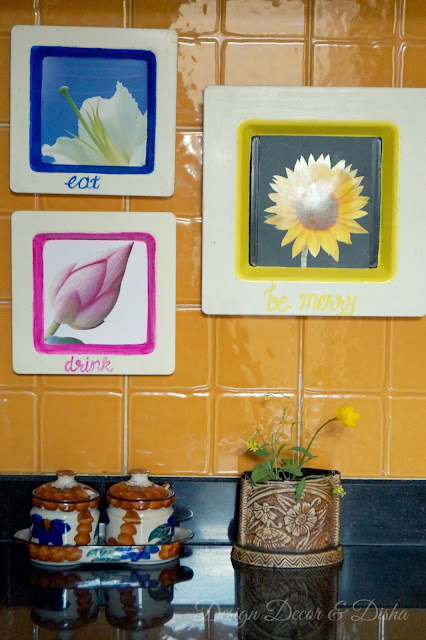 A few days ago I recycled some old serving trays and made kitchen artwork out of them. This DIY kitchen artwork is what I would like to call my first failed DIY idea. As I didn't like the outcome. It didn't turn out the way I had expected and I am planning to do something else again with the same trays. 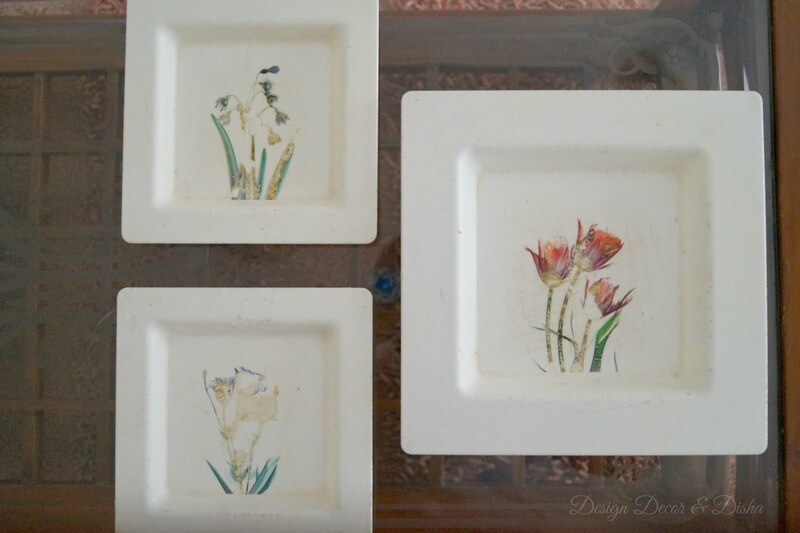 As of now let me show you how I was itching to do something with the set of these three plastic old trays that had lost their charm over the period of time. These trays were versatile and I used them in many ways. Because of excessive use, the shine of the trays was gone and the paint was chipped. Instead of throwing them I thought to put them to some good use. 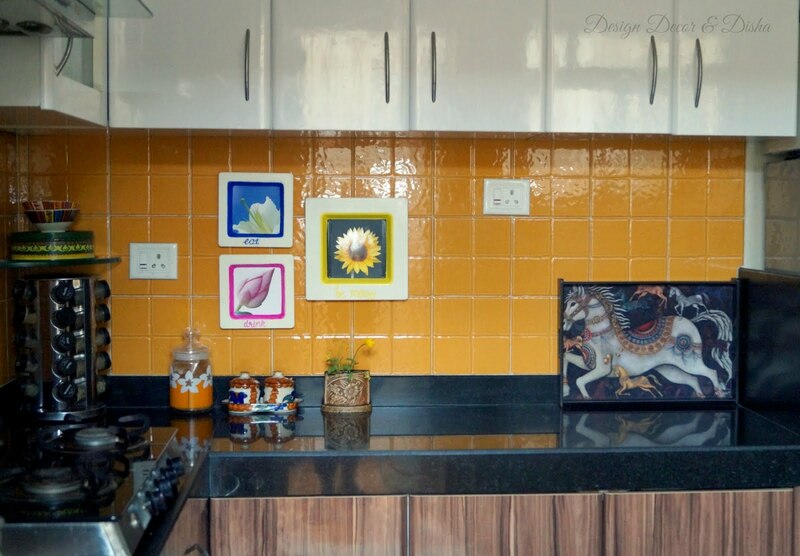 The idea was to fill empty backsplash of my kitchen and add the pop of colour at the same time. 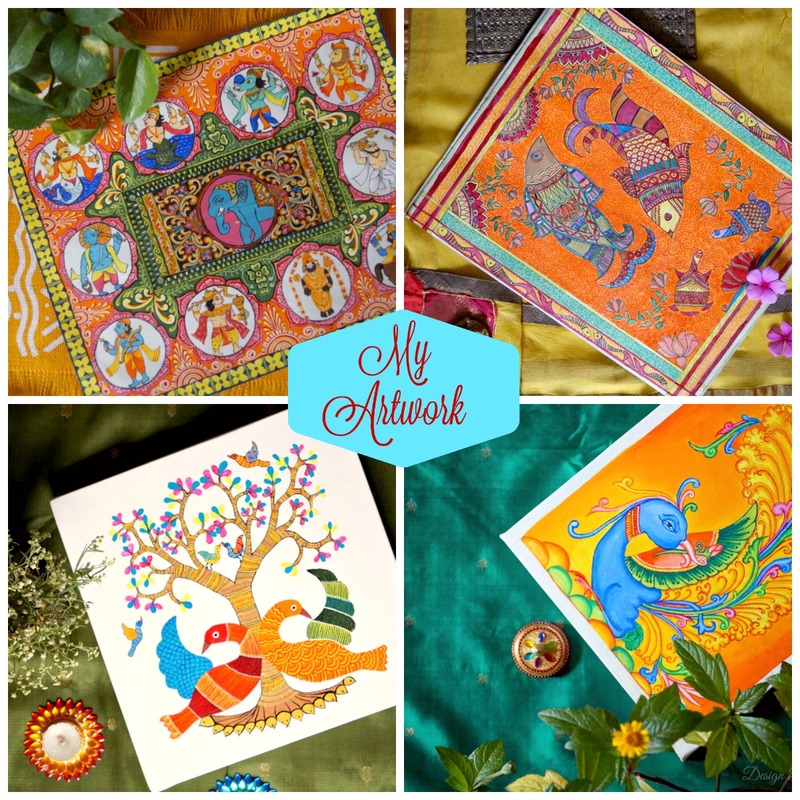 I had some beautiful cards that I liked a lot and hence used them on trays. I cut and glued the cards on each tray and painted a part of the tray in matching colours. 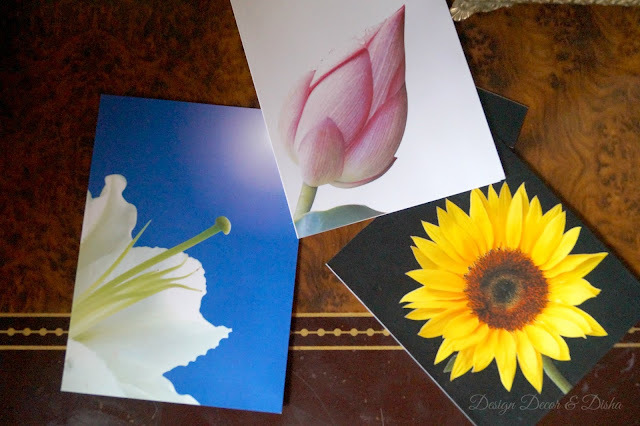 There was no need to use decoupage glue as the cards were shiny and glossy already. One more hack I used here is very interesting. Instead of drilling the backsplash to hang the artwork, I used double sided adhesive tape. This way I can try different orientations effortlessly. I wrote "eat, drink & be merry" on the trays to make the artwork look perfect for the kitchen. 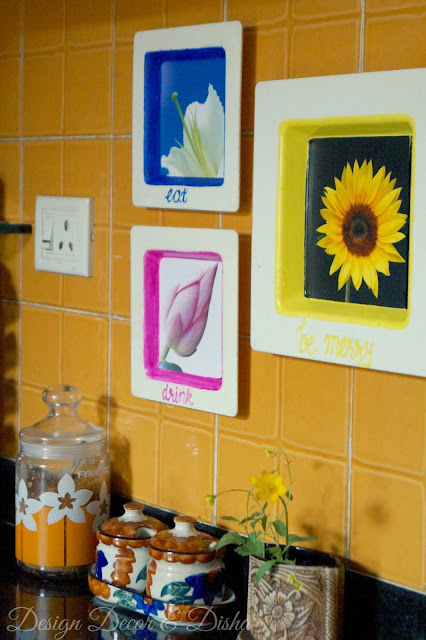 Though this DIY kitchen artwork sure has added a pop of colour in my kitchen but somehow I didn't like the overall look. Maybe the colour combination isn't working well together. These trays will stay there for a while until I have something really nice on my mind. Giving company to these trays here are my homegrown mustard blooms. I really like the colour and delicate look of these flowers. 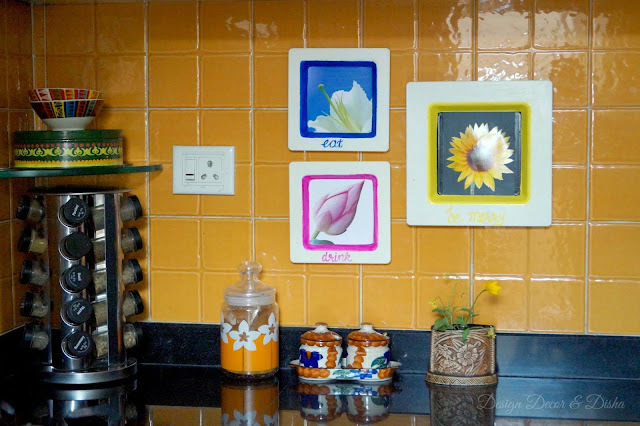 Blue, pink & yellow on orange backsplash aren't creating a cohesive look and I think this is the reason why I am not finding it to my liking. 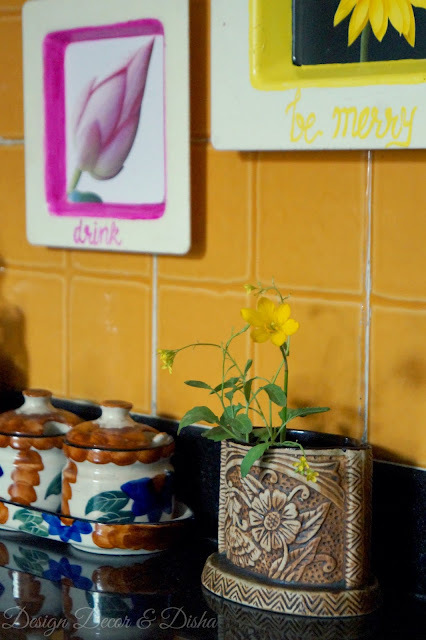 But I wouldn't mind looking at those bright colours and cheerful blooms every day while I cook for my family. 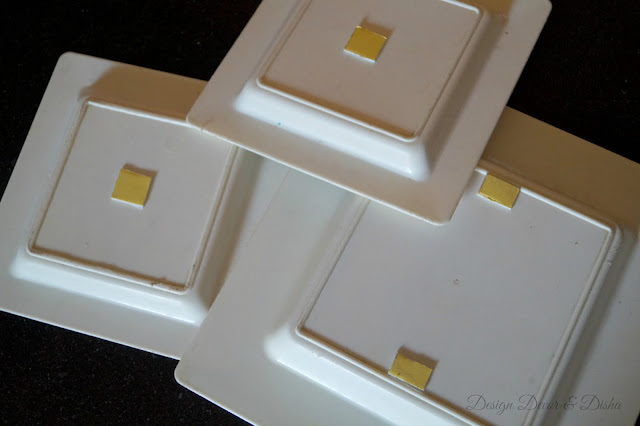 Here is one last look at what trays were then and now after this DIY. 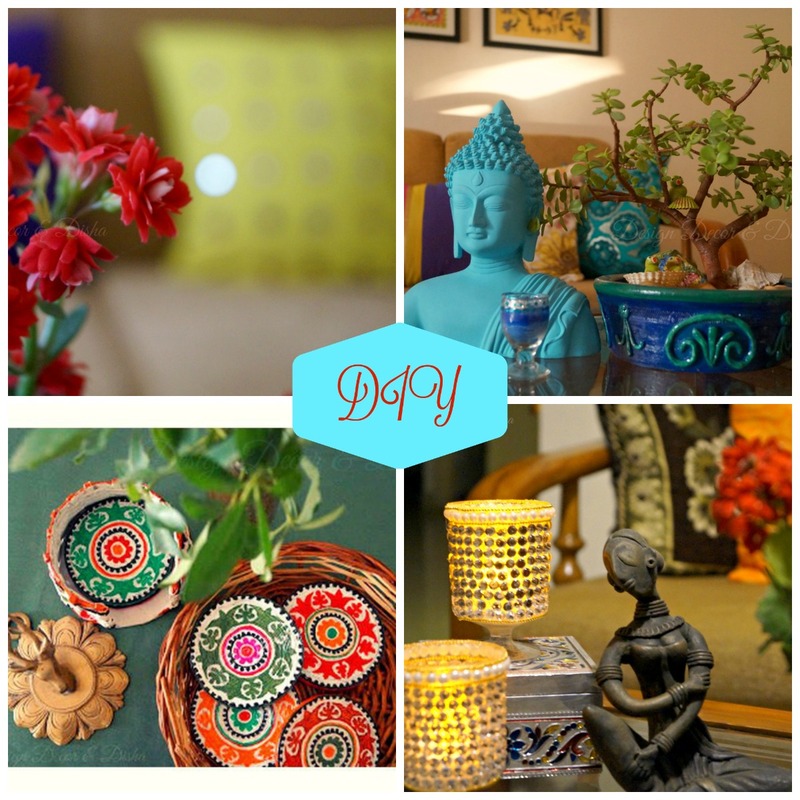 Quirky and kitschy!! You can watch a video of this kitchen artwork on my Instagram Feed here. I hope you all are having a good start to the new week. Stay glued to expect something unexpected!! 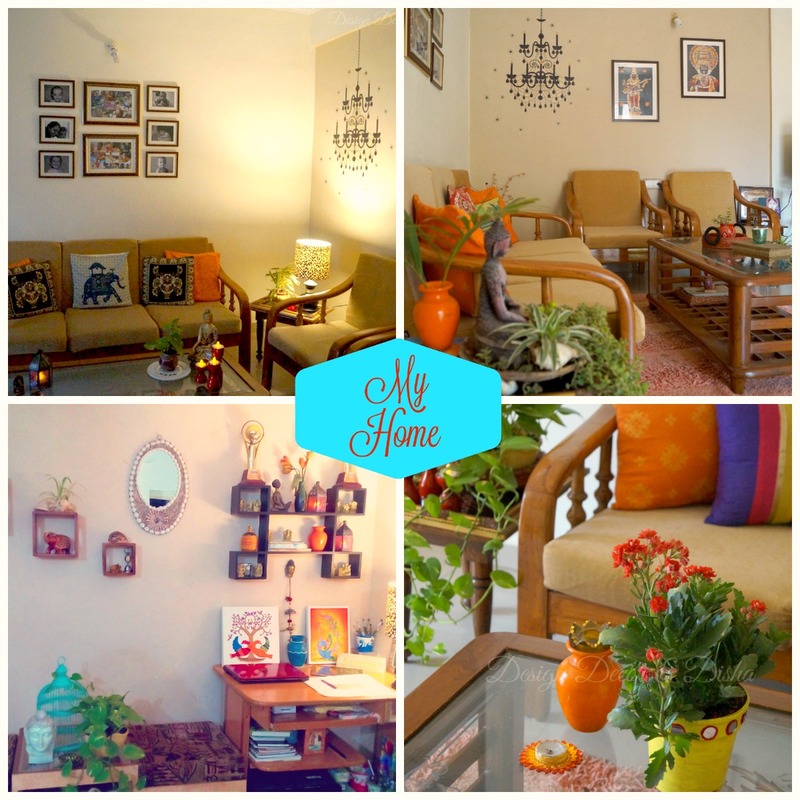 For more such Thrifty Decor Ideas click here.